“I love you and I’m sorry,” an Egg Harbor Township man told the mother of his children before fatally beating her with a hammer in their bed, according to a statement he gave detectives hours after the killing. A statement Smith gave to detectives hours after the killing was played in court Friday, as part of a hearing to see if it would be admissible in court. “I wanted to take us both out,” Smith told the detectives. When he called 911 at about 5 a.m., he told the dispatcher he someone to come to the home “because somebody was bleeding,” said Major Crimes Sgt. William Hess, of the Atlantic County Prosecutor’s Office. The dispatcher was “ultimately able to get out of Mr. Smith that he was bleeding and that the mother of his children was bleeding and that he was the one that caused them both to bleed,” Hess said. Smith said he would be outside “because he didn’t want his kids to wake up and be involved in what had just happened,” Hess said. Smith had cuts to both forearms caused, he later told the detectives, by razor blades that were in the medicine cabinet. In a low, deep gravelly voice that made his words often inaudible, Smith talked of a man who had been talking with Phillips and jealousies he had over it. Family has said Phillips was trying to leave Smith at the time of the attack because of domestic abuse. 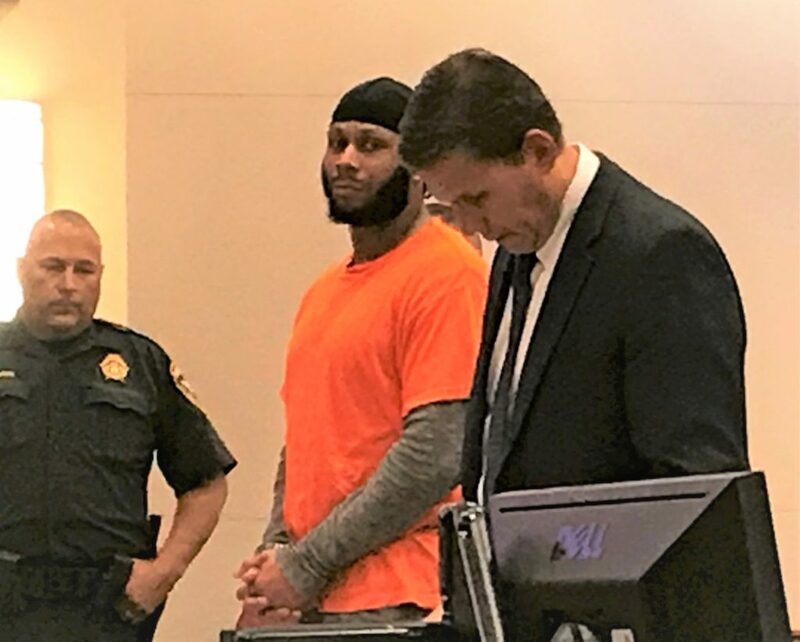 There was a pending charge against Smith in an assault on Phillips at the time of the killing, Chief Assistant Prosecutor Seth Levy said at his detention hearing in November. He admitted looking at her phone to see they were talking. He said there had been no argument before the killing. The two were in bed and had had a good day. Smith said he hadn’t really been sleeping. In the taped interview, Hess asked Smith if he said anything before the attack. “I told her I love her and I’m sorry,” he said before taking the hammer and hitting her in the head. Smith didn’t know how many times he struck the woman. “I wasn’t counting,” he said. He said she was awake when it happened, but that she didn’t scream. Smith said he figured it happened around 3:30 in the morning, but he wasn’t sure of the time. Hess also asked Smith about prior domestic incidents, including when Phillips’ nose was broken. Smith’s attorney, Stephen Funk, did not cross-examine Hess. Instead, he will submit a written response. Superior Court Judge Bernard DeLury will make a written ruling in October.